At Kinder we write great articles, but we aim to create awesome video content as well. For that purpose we have created 2 video templates. We want our video content to look consistent, so whenever you want to post a video, use this template. 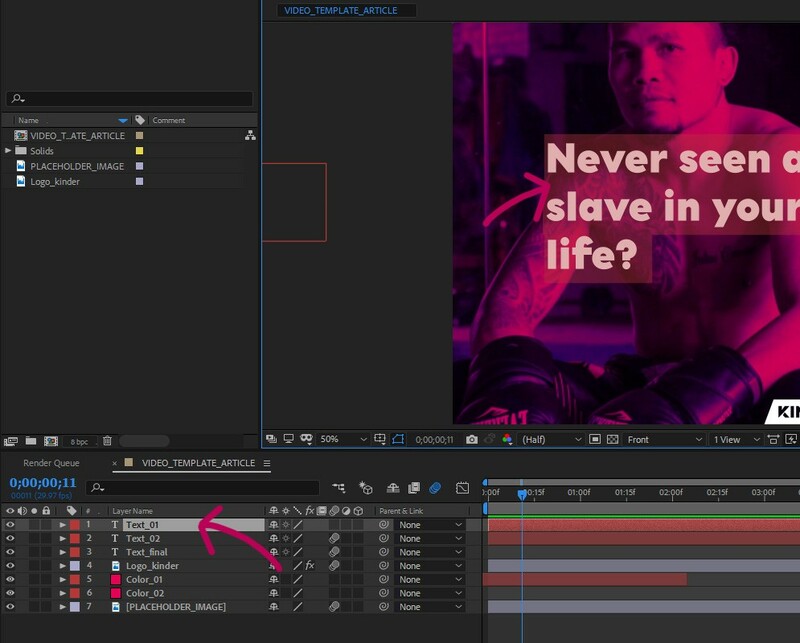 You need a basic understanding of Adobe Premiere Pro to use this template. For great articles that we want to push, we can create a video teaser to draw more traffic towards it. 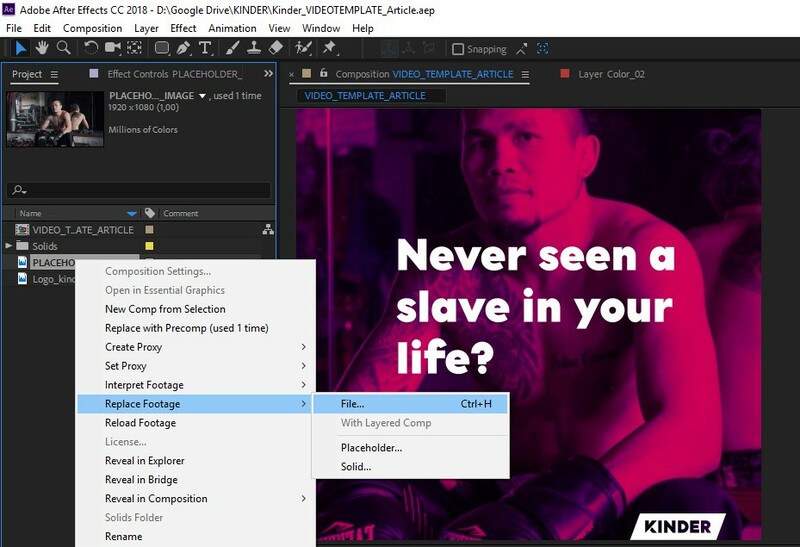 You don't need any experience with Adobe After Effects to use this template, simply scroll down and follow the corresponding steps. 1. How to use the Video Template. 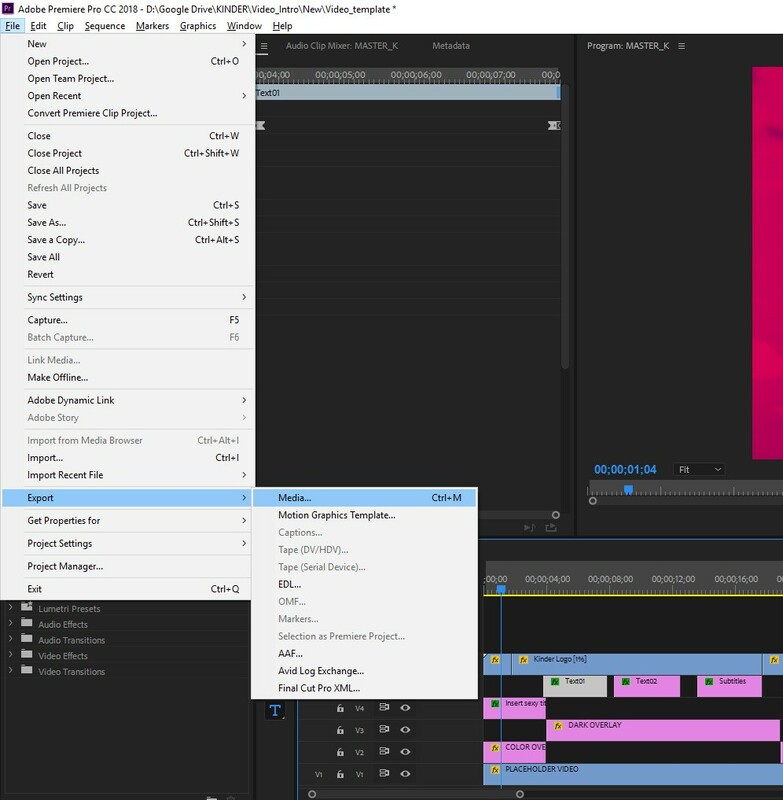 Open the file in Adobe Premiere Pro. Press Space to play the animation. 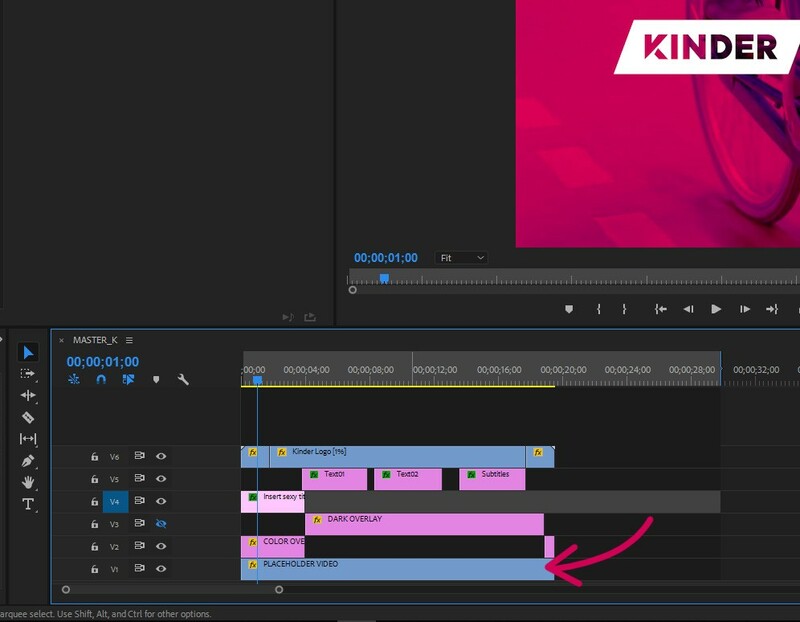 The video template has a Kinder logo animation as an intro and as an outro (the top track), keep these to make sure all Kinder videos look consistent. The file shows placeholder video and placeholder text. To change the video, drag in your own video and delete the placeholder video. 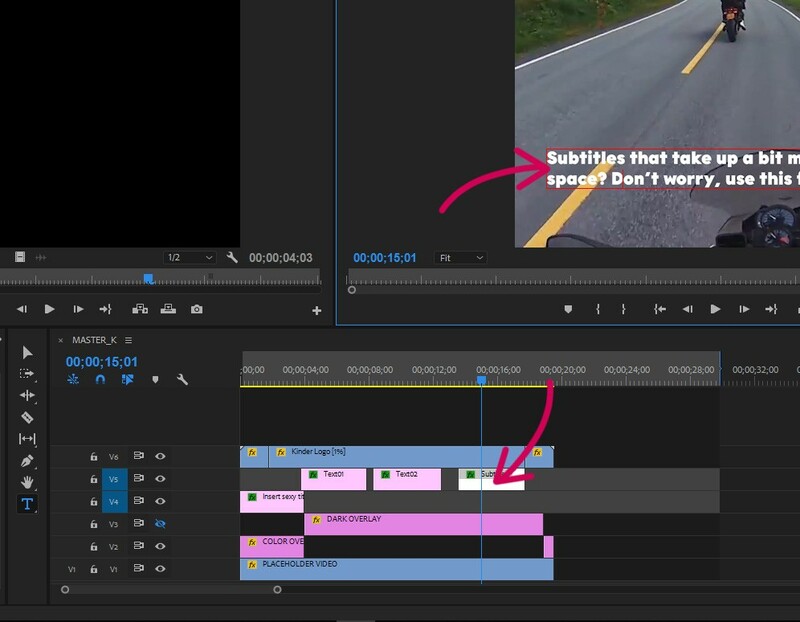 Edit the video as you normally would, feel free to change the length of the video to fit your story. 4. You can change the placeholder text and title by hitting 'T', clicking the text in the preview window and start editing. 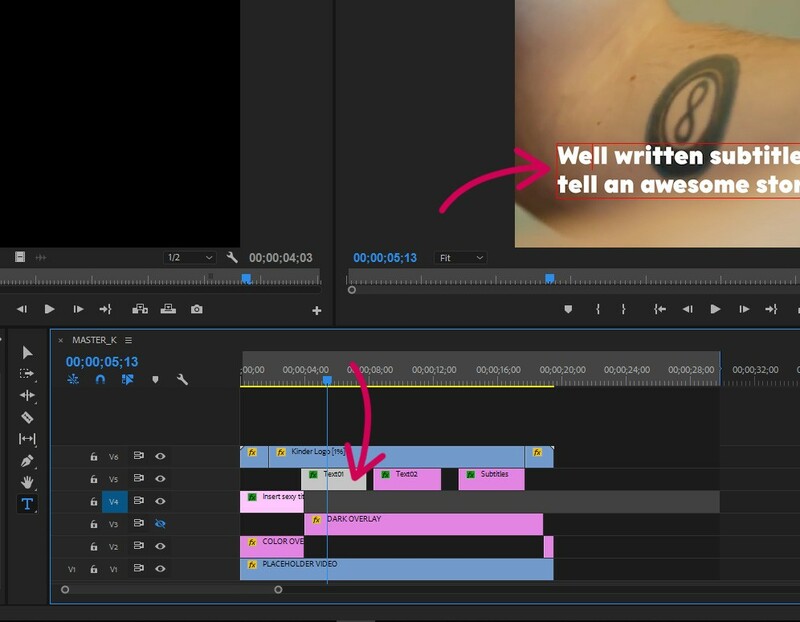 If you want to include more text in your video, simply copy paste the text object in the timeline. Try to keep your text short and to the point. 5. If you're doing actual subtitles, the default font size is probably too big. Use the Subtitle text object instead. 6. 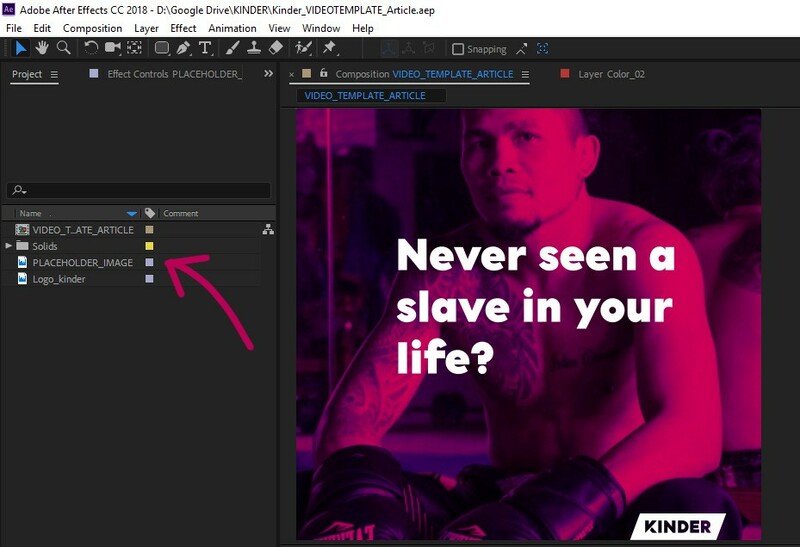 If your video content is very bright and the white text becomes hard to read, darken the text background by toggling on the visibility for the Dark Overlay layer. Do this by clicking the eye icon on the left of the corresponding layer. 7. When you're happy with your video, go to File -> Export -> Media to export your video. When you save your Premiere file, make sure to save it under a different name so you don't overwrite the template file. 2. How to use the Article Teaser Video Template. 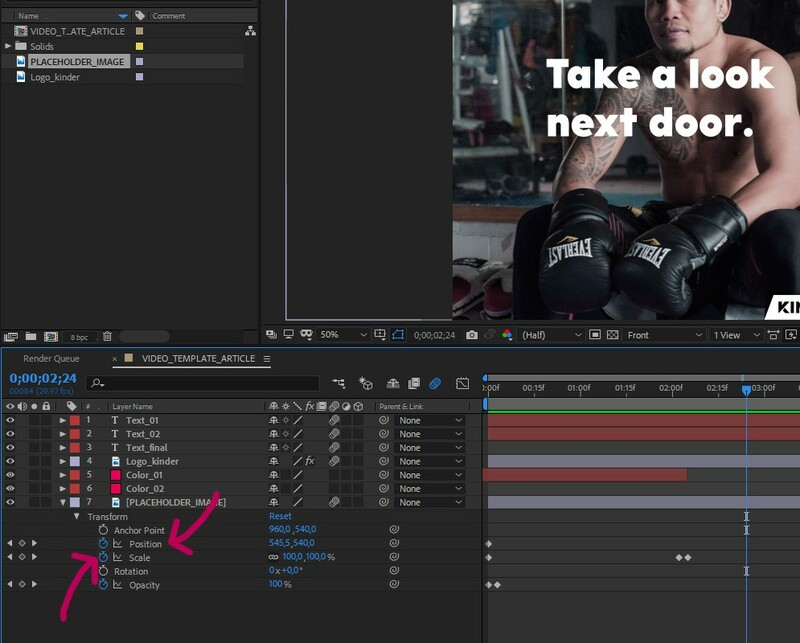 Open the file in Adobe After Effects, press spacebar to play the animation. The file shows a placeholder image and placeholder text. To change the image, right click the PLACEHOLDER_IMAGE file. 4. Select 'Replace Footage' and click File. Now select the image file you want to use, for example the image that was used for the article. To make sure it ends up looking good, make sure the image you use is resized to a resolution of 1920 x 1080, (this is the same as the placeholder image). 5. Play the animation by hitting space bar and check if the animation looks good. If not, double check whether the image you used has a resolution of 1920 x 1080. If you're comfortable in After Effects, feel free to play around with the Scale and Position keyframes to create a motion that fits better with your image. 6. 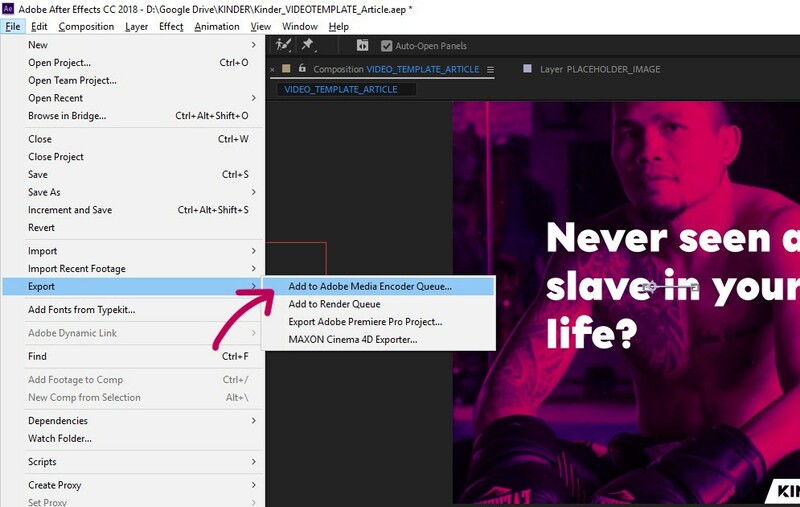 To change the placeholder text, double click the Text_01 layer and start editing the text. In terms of copy, either use the first half of the article's title, or create a short teaser text instead. Keep it short and simple. 7. Repeat these steps for the Text_02 layer. 8. When you're happy with the animation, it's time to export the animation into a video file. To do so, go to File -> Export -> Add to Adobe Media Encoder Queue. 9. 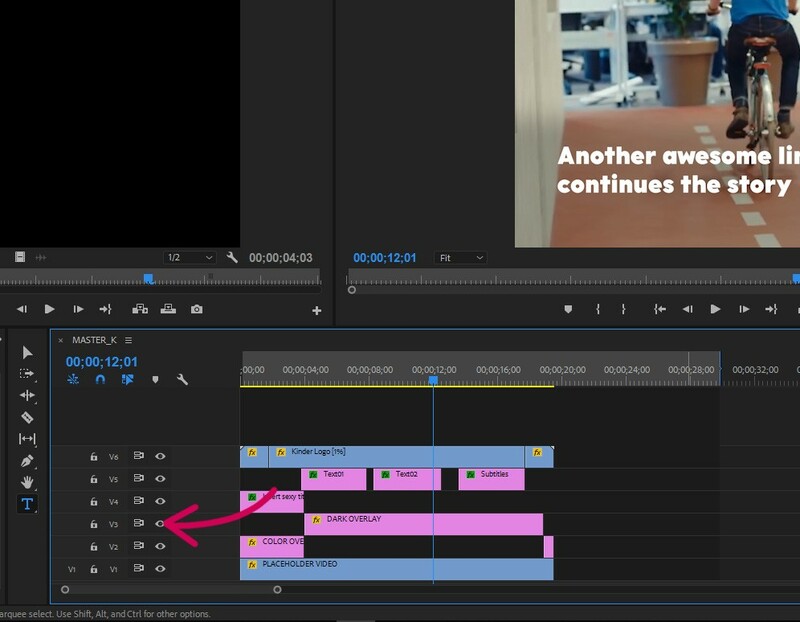 When Adobe Media Encoder has opened up, click the blue link underneath Output File to rename the final video file and if necessary change the location of where you want the video file to end up. Then click the green arrow on the top right to start encoding the video, this can take a bit of time. 10. That's it! Now post the video on our social channels, don't forget to include a link to the corresponding article. 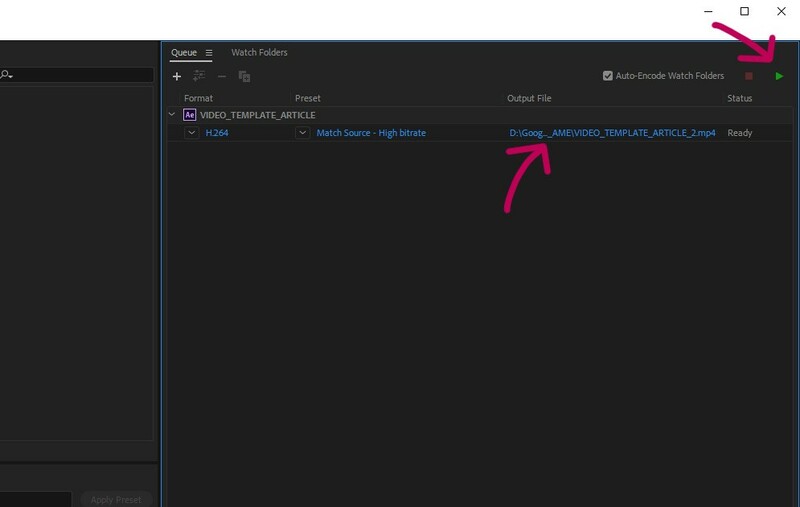 Oh, and when you save your After Effects file, make sure to save it under a different name to make sure you don't overwrite the template file.